The Podcast is BACK! Did you miss us? Well, get ready for an exciting few months with a different vibe - solo Sideline Sass. Our beloved Cohost Kaleigh Krish is taking some time off so Emily will be steering the ship! Same awesome lineup of guests with just a singular host. Or maybe a guest host from time to time...who knows! We like to keep y'all guessing! In this triumphant return episode, Emily recaps the college football season, regaling you with stories from her trip to the Senior Bowl. She also fills you in on what Sideline Sass has been up to since the CFB Championship episode as well as what is to come. Later, Emily is joined by NBS Sports Bay Area's Jessica Kleinschmidt to talk about life, love and the perpetual pursuit of the baseball season. 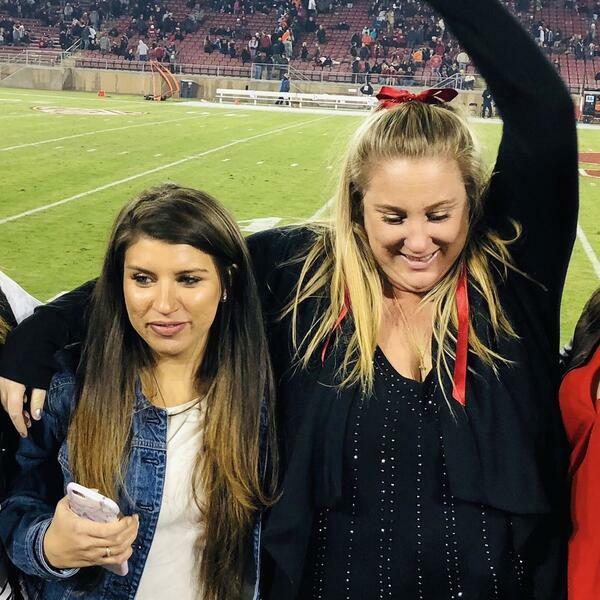 The girls chat about Jess's big move to the Bay Area and her new job as well as her trip to Arizona for Spring Training. She also shares hair tips and dating advice. The depth of the girls friendship is revealed in this chat session, so you are going to want to tune in. Emily concludes the podcast with the promise of college hoops on the horizon. As always, don’t forget to follow the show on all our social media profiles: @sidelinesasss on Instagram @sidelinesasss on Twitter and Sideline Sass on Facebook. And don’t forget to check out the website where audio, video and written sass converge at www.SidelineSasss.com. Also follow Emily on her handle @Emilnem on both Instagram and Twitter and follow Jessica on Twitter @KleinschmidtJD and on Instagram @jessicakleinschmidt.